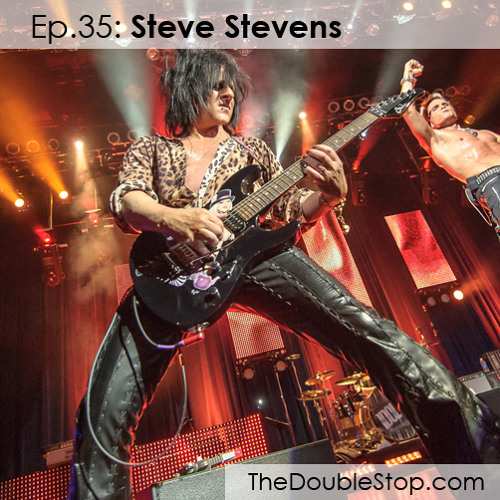 Steve Stevens discusses his childhood and his path learning guitar (it was NOT rock), and the effects of his early influences. He covers his first recordings, how he met Billy Idol, and their rise to fame. He also shares why he ultimately left the band, but not before declining the lead guitarist gig for David Lee Roth (pre-Steve Vai). Other topics include working with Vince Neil, returning to Billy Idol, why he was unsatisfied with “Devil’s Playland”, and why he IS so happy with their new cd, Kings & Queens of the Underground.